Our aim at Savoy Café is to offer fresh, organic and locally sourced (where possible) made to order food with a contemporary twist. Everyday we offer a selection of two homemade soups as well as various selections of daily fresh homemade scones & tray bakes. We hope to be known for our quality drinks selection. We use Bailies handroasted coffee beans for our quality coffees. Our loose leaf Irish breakfast tea has become very popular as well as our DP Connolly “Co. Laois” 100% Natural Juices. 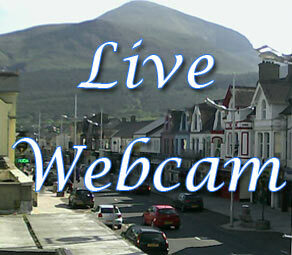 We have our own LIVE webcam that overlooks the Mourne Mountains, it is good for walkers to keep an eye on the cloud cover and weather on the Mournes as well as just having a wee peek of Newcastle’s Main Street. Free WiFi (35 Mpbs) is provided for all customers.